Americana is a term that is banded about all too easily, like roots or world music or terms such as celebrity, phrases like awesome and paradigm shifting. You could even argue that anything made outside of the USA can’t be part of the cultural heritage of that geographical location. And whilst on paper Jane Allison displays all of the hallmarks of music that has it’s birth place on the far side of the Atlantic, like all home grown music it can’t deny it’s own heritage. The result is a cross-cultural, cross-genre, globally inspired brand of music that may tip it’s hat to America but is infused with the folk roots of it’s own location on this side of the water and more specifically Wales. But then again I don’t know why I am getting so bogged down with labels, country music has its roots in the music of the largely European settlers of the Appalachians, making music in this vein is just a distant cousin, both familiar yet different. Just Another Girl wanders between the music of the Old World and The New, sometimes conforming to Nashville expectations in the lilting cowboy balladry of the title track but as often as not mining a darker musical and lyrical theme in the reflective tones of All Over Now. Thankfully Jane manages to avoid the obvious clichés that often go hand in hand with folk and country and through sheer force of song writing, not to mention a compelling voice, weaves a path through much more interesting territory – a pathway that links Leonard Cohen to Kate Bush bisected by one that links The Indigo Girls to Gretchen Peters. In fact it is in Peters haunting textures and resonant beauty that many comparisons can be found, a similarly timeless sound that has abandoned the rules and traditions of the genre it is associated with in favour of just being great and slightly otherworldly music. 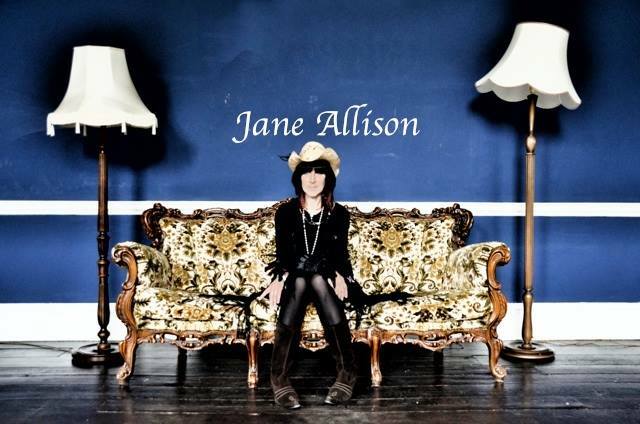 I can see Jane Allison following a similar path for it is amongst the more insular, less commercial sounds that the finest moments of the album are to be found and as an indication as to where her already varied musical career may be heading, I it is enough to have me watching her with great anticipation.